"Say Goodbye To Hollywood" (live) was re-released a single in 1981 and became a Top 40 hit. © 1976, 1981 Sony BMG Music Entertainment. Watch more videos on BillyJoel.com, Sony MyPlay or Vevo channel. 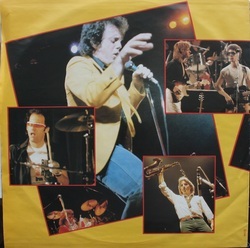 Download "Say Goodbye to Hollywood"
Front inside sleeve to Songs In The Attic LP.